Each person has a unique set of genes that distinguishes that individual from every other human being on the planet. This identity is affected by the impact of interpersonal environmental stimuli that are either favorable to the individual potential of the personality or damaging. If people managed to retain significant aspects of their unique identities, they could live truly individualistic and creative lives. Painful events and negative programming during the developmental years constitute the most serious threat to the evolution of the authentic self. Psychological defenses that attempt to dull or block out trauma, that were once adaptive, become limiting and dysfunctional in later life and at their worst can predispose psychopathology. Kevin, a three-year-old boy, was brought to me for evaluation and psychological help. His parents were distraught because their son exhibited violent behavior and would savagely attack other children without provocation. He pretended that he was an aggressive animal like a dinosaur or a tiger, and would have a serious fit if he were interrupted. Sometimes he would hit himself in the face with his fists saying he was bad. At other times, for no apparent reason, he would suddenly collapse on the floor and scream out. Two psychologists, friends of his family, who had witnessed the destructive acting out behavior, feared that his violence might in part be related to genetic factors. The child’s demeanor was unpleasant and he appeared to be unlovable. His mother, Jenny, felt unable to cope with the situation and besides sending him to me, she asked a friend of the family, Amy, to help her with Kevin. Although Amy was a sensitive and feeling individual who had an easy way with children, she could not feel for this boy and he provoked an angry reaction. 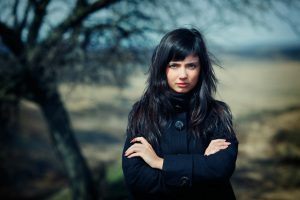 By the time of the intake interview, she had become worried and discouraged. Before the session, Kevin’s mother and father filled me in about Kevin’s violence and Amy provided me with additional information about the family. Basically, she described that although Jenny felt loving toward Kevin, she would often act strange with him. She would play scary games, making mean faces and jumping out at him. Although Jenny thought they were playing and having fun, the child appeared to be terrified. Amy also mentioned that in her opinion, Jenny seemed immature and mis-attuned to her son, and had difficulty being nurturing. Kevin, a nice-looking boy with blond hair, was small for his age. When we met, he looked like he felt angry and scared. There were indications of exceptional intelligence. My initial reaction to Kevin was similar to Amy’s. He gave me an uneasy feeling and it was hard to warm up to him. I found him unlikeable, a rare feeling for me toward any child. Then I settled in and started to talk with him. We sat face to face and I told him to keep looking into my eyes to keep his attention. There was some small talk and then I asked him about the things that scared him. His face looked serious and in an earnest voice, he began to tell me a story. He said that there were two Kevin’s, a regular Kevin and a Kevin witch and a Mommy witch. 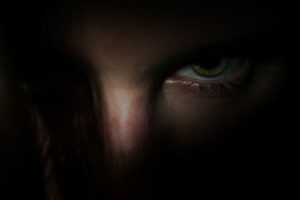 Knowing what I know about the Fantasy Bond, an imagined fusion with the mother to compensate for psychological pain and frustration, I intuitively challenged him. I conjectured that the Kevin witch was the destructive aspect of Jenny’s mothering that Kevin had assimilated and I kept saying there was only one Kevin. He objected for a while, but I repeated the sentence over and over. Suddenly he caught on and his eyes lit up. He jumped out of his chair and said, “This is what Mommy does.” He imitated his mother, raising his arms in a menacing manner and making an angry distorted face. Then he said, “Let’s attack the Mommy monster,” and started pummeling a pillow, hitting it with his fists.I encouraged him to express his anger and verbally supported the attack. I said that we were killing the monster and that I would protect him. After the outburst, he felt particularly good, his face changed and he looked sweet. At the end of the interview, I felt warmly toward him. When Kevin left the session, he was reported to be both lovable and relaxed, and since that time he has maintained a sweet disposition with only occasional outbursts of anger toward other children. When these fits did occur, they were much more moderate. Besides, his outward behavior has been very affectionate, significantly different from his demeanor before the session. Where in the past he frequently referred to himself as a bad boy or a monster, now he spoke of himself more often as a good boy. The unusual session and its positive outcome impressed me. 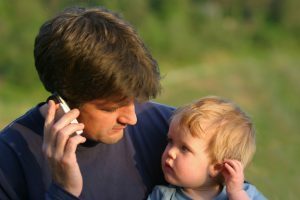 I was surprised that I could verbally communicate with a child so young. I pondered the significance of the session and interpreted the exchange as follows. When I said that there was only one Kevin, I was really saying that the Kevin witch represented the threatening persona of his mother that Kevin had incorporated into himself. In his fantasy of fusion with his mother he saw himself as the monster. That’s why he judged himself as bad and why he acted out elements of the rageful, incorporated monster on other children. When he made the separation and conceptualized himself as simply Kevin he was able to mobilize his anger toward his mother and he felt relief. When children are especially frightened or hurt, they incorporate the aggressor (person causing them pain) into themselves. This is an emotional survival mechanism that reduces intolerable stress. Because of this incorporation process, Kevin had a split within himself that was part him and part his scary mother, a self and an anti-self that was alien to him and aggressively directed outward toward other children. Before he was able to differentiate himself from his mother, he not only felt that he was bad but he also acted it out; after he made the separation he was like an entirely different person. Of course this was only the first step in an ongoing treatment process that involved both the child and his parents but it was exceptionally meaningful. It is interesting to note that to a considerable extent people become carbon copies of one or both of their parents. To the degree to which people manifest their parent’s positive qualities this replication becomes a harmonious, integrated part of the personality. However the parent’s negative characteristics, point of view and maladaptive psychological defenses become a separate non-integrated alien aspect of people’s personalities that has a destructive influence. For example, my father was a good medical doctor who believed in helping people, and felt love and respect for his patients. I have embraced a career in a helping profession as a psychotherapist and manifest a similar concern for my clients. On the other hand, my father exhibited a mean, hypercritical attitude toward me as a child and I have internalized this destructive pattern to my own detriment. I place a great deal of emphasis on this material about Kevin because, to varying degrees, all people experience a split in their psyche that is similar to his. Our real self is under siege from the alien self. To a certain extent, we incorporate critical attitudes and self-destructive elements into our own personalities and remain undifferentiated from our parents or caretakers throughout our lifetime. For most people, there is very little awareness of the negative elements that we have assimilated and manifest in our personalities. These characteristics operate to the detriment of ourselves and others, particularly those people closest to us and especially our children. In a very real sense, we have both a positive and negative identity, and we are very different people depending upon which side is dominant. The negative identity is most likely to emerge when we are under stress or particularly fearful. 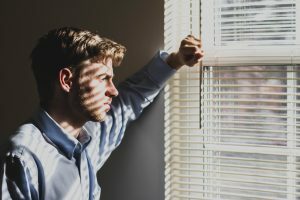 On those occasions, we symbolically reconnect to people who caused us psychological pain and anxiety in our developmental years, and act out the destructive behaviors that were manifested towards us. In summary, all people are possessed to varying degrees by alien personalities and to that extent exist as divided selves. These incorporated personalities represent the dark side of parents or caretakers, in essence, the worst attitudes and/or behaviors that were directed toward them as vulnerable children. Left unchallenged, they represent an extensive alien viewpoint toward the person that operates throughout his/her lifetime. Their effect is damaging to both individuals and their relationships. Sadly, most people remain largely unaware of the insidious effects on their psyche of the negative personalities they have internalized. They operate as a critical voice process that demeans and attacks them and their closest associations, and are a powerful element in all forms of psychopathology. These “voices,” or inner directives, favor a defensive lifestyle that predisposes emotional misery and maladaptive behavior, opposes individuation and self-realization, and serves as the core resistance to psychotherapy and a more happy and harmonious life. I have a terrible issue with disliking myself, yet I’ve achieved an amazing career with a large salary, and have an amazing wife with a child on the way. In all perspectives this is an amazing life and I’m a very lucky person. Even still I question my intelligence, am unable to accept compliments from peers and co-workers and have to constantly keep my depression in check. Yes I’ve found anti-depressents to be a major tool in this, but I want to build up a solid toolset to live a positive life. I will certainly be reading this book soon as I’m ordering online. I’m also wondering if there are any other authors or books you would recommend for this situation? Thanks for all the great writing, looking forward to this book. Thanks for your generous comment, Robert. 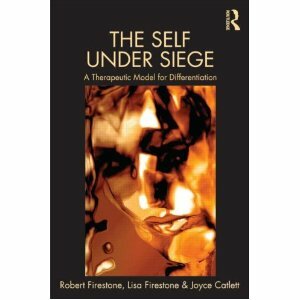 We hope you enjoy The Self Under Siege. You may also be interested in our eCourse with Dr. Lisa Firestone on how to Overcome Your Inner Critic.